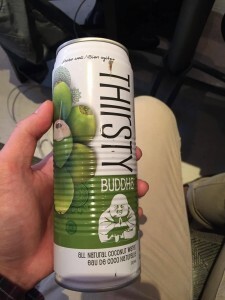 The Thirsty Buddha brand of coconut water. A few weeks ago, I was talking to a friend of mine who was extensively explaining to me the benefits of drinking coconut water. “It’s changed my life,” she exclaimed. “I drink it more than I drink regular water. I’m on my feet for longer and I hardly get tired during the day anymore, especially during workouts.” When I got home, I googled it and found that there were a lot of benefits, such as good carbs, electrolytes, and a heaping lot of potassium. Since the Community Crew was running a self care campaign that week, I decided to try switching out regular water for coconut water entirely for the week to see where the hype was. I compiled my thoughts from the journal I kept during the week into this blog post for you all to see my experience. I decided to begin my experiment by buying a whole lot of different kinds of coconut water, ranging from the Thirsty Buddha brand to Vita Coco. Each brand had a pretty similar taste, but discrepancies with added features such as pulp, jelly, or aloe. But they all were roughly the same cost. In order for the experiment to work, however, I had to buy an abundance of coconut water (who knew I would ever buy that much coconut water in a week?) and it was not kind to my bank account. Honestly, it’s probably cheaper to plant your own coconut tree in a solarium or greenhouse or something. I’m going to open up this section saying that I’m mainly neutral to the taste of coconut water; I don’t love it nor do I hate it. That being said, my liquid diet of coconut water was, for the first 3 days, not bad. Coconut water has a nuttier, sweeter taste, and it does make you feel refreshed upon swallowing it, kind of like ingesting the aftermath of an 8 hour sleep. However, after the fourth day, I started to really notice the aftertaste on my tongue. The fifth day I ate salty snacks after a gulp of coconut water (which made me drink some more soon after). The sixth day I drank water seldomly. 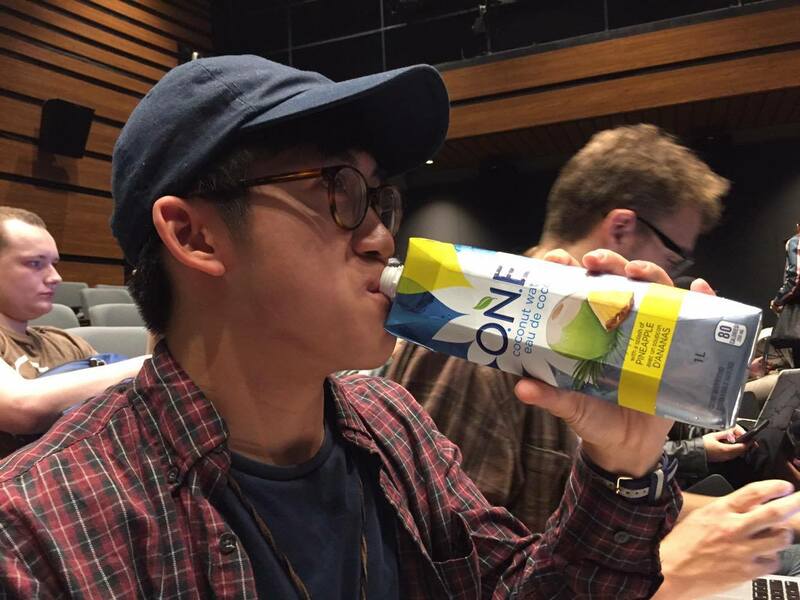 The seventh I pretended I was drinking something else; like chocolate milk or anything not coconut water because all I taste is coconut water please help me. I’ll be honest: I did feel more energized that week. I stayed awake in *all* my classes. My workouts were productive and I was able to recover quickly, especially after a run. I even was able to notice more details in my readings (though I’m unsure if this was merely a psychological effect). My nights were alert, I walked quicker, and I felt more positive during the day. My mom even said I looked more handsome (this is a true fact and I am attributing it to the coconut water). Look! 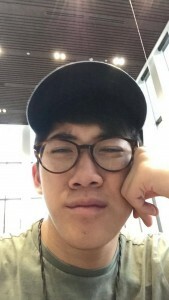 I’m awake in my film class! Just drinking coconut water in place of regular water was a good idea for an experiment, but not for practical reasons. I kind of saw where the hype was, but my wallet didn’t. After a few days of prolonged drinking, I hugely missed the neutral tastes-like-nothing good old fashioned tap water. It’s better to drink with a salty snack, otherwise you’ll get sick of it easily. But I definitely felt the benefits to it, so I guess there is some appeal to it. But moral of the story: everything in moderation. Or else you’ll go a little (coco)nutty at the end.